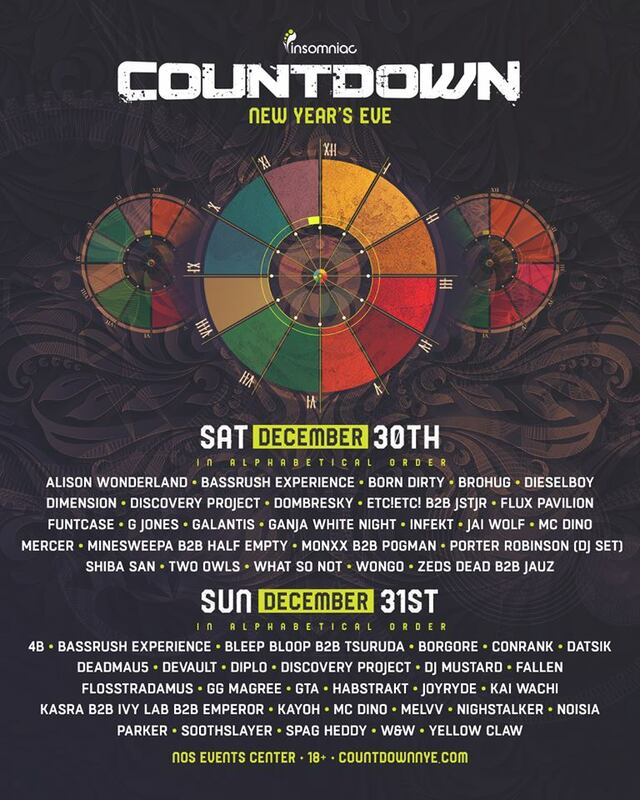 Insomniac Events are proud to present their 4th annual 18+ New Years Eve festival, Countdown NYE 2017 with Deadmau5 & Porter Robinson, which will take place at the beloved NOS Events Center as it returns to TWO whole days on Saturday, December 30th & Sunday, December 31st. 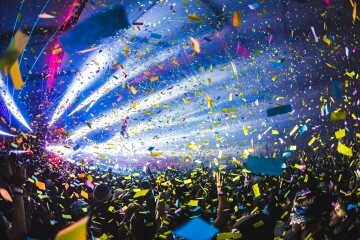 Celebrating the New Year in true Insomniac fashion, Countdown will deliver confetti showers, pyrotechnics, elaborate costumes, and extraordinary production elements sure to create the most memorable way to ring in the first hours of 2017. Tickets and lineup are now available! 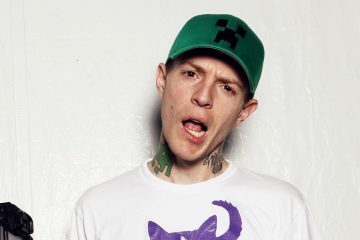 GIVEAWAY: Other than Deadmau5 & Porter, Which DJs would YOU like to see play Countdown this year? Comment below for your chance to win a 2-day pass. Dj snake again for the third year in a row and hopefully bring back Porter for another DJ set or maybe even live! Dj snake is played out already. Ditch the EDM garbage and let’s get some real house music. 4B, Mercer, Carnage, Slander & FLOSS!! Please bring kaskade to count down !! Above & Beyond at midnight and Basscon stage please! Dude I hella agree with you ! But they gotta add SLANDER and KYGO! Marshmello, Above & Beyond, and bring back Showtek! Ookay , carnage , yellow claw , marshmello !!! Dash Berlin, tiesto, deorro, kaskade, Kuhn, etc. there’s so many to make the night amazing !! NGHTMRE, Allison Wonderland, chain smokers, boombox cartel, marshmello, Brillz, Borgore, BRING EM ALL LESSSS GO! 4B, Mercer, Carnage, Slander, & FLOSS!! Alesso! Major Lazer! Daft Punk! Knife Party! Boom box cartel, party favor, zeds dead, oh and Steve aoki! My lady has never seen him yet ! Would be awesome to get caked! Showtek! Deorro, headhunterz, Hartwell, just let jam out to Hardstyle! The chainsmokers, KASKADE, carnage, yellow claw ! Seven Lions, Dirtcaps, Slushii, Virtual Riot, Delta Heavy, GA, Stonebank. Heck, bring all the bangers baby. SAN holo, seven lions, marshmello, lido, skrillex. Flume!!!!! marshmello, zomboy, flux pavilion, 4B, Porter, yellow claw, jauz, ookay, floss, deorro, snails, knife party…. aaahhhh so many I want to see!! 😩 For sure Flume though!!! Skrillex would be amazing! I’ve been wanting to see him for years! Valentino khan, Jauz, Brohug, zomboy, flosstradamus,flume!! Valentino Khan, Jauz, BROHUG, Zomboy, Flosstradamus, Flume!! For sure Skrillex because he has been my favorite since Middle School! I gotta hear Cinema live! k?d, ZOMBOY, MORTEN, Speaker of the House would be cool too!! Alison Wonderland, Yellow Claw, Zeds Dead, What So Not, & my greatest love, Jai Wolf! I would love to see Seven Lions, Illenium, Marshmellow, and NGHTMRE there tho!